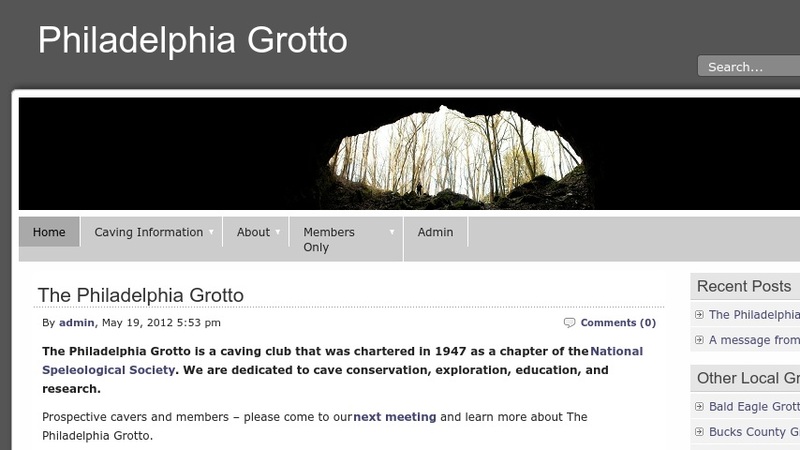 The caving club Philadelphia Grotto is a chapter of the National Speleological Society "dedicated to cave conservation, exploration, education, and research." While a few links are only available to members, beginning cavers can find out about caving safety and equipment as well as cave conservation and laws. The website supplies remarkable images from cavers exploring in various places throughout the United States and the Bahamas. Younger users can learn about Youth Groups. Interested visitors can locate information on membership opportunities.